CCCO: One problem with most historical accounts of the anti-war movement, or the peace movement as a whole, is that in most accounts, the contributions, or even the very presence of black people is virtually omitted or overlooked. What is your impression of this? Simmons: There’s a sense, particularly in the progressive movement, that African Americans just deal with domestic issues, and historically that’s absolutely false. Even if you go back to World War I or World War II, African Americans have challenged wars and U.S. foreign policy. While it is true that at the beginning, and first half of the century, a lot of our people viewed going into the military as a down payment on freedom, that if we fought, then folks would treat us better. So that created a lot of ambivalence in the African- American community, but by- and-large, and particularly in World War I, African Americans were not in support of these wars. During World War II, due to Hitler’s racism there was clearly more support (for the war), but even with that, a lot of African Americans had a lot of trouble with the whole Japanese issue. There are people, who to this very day, including me, who do not think that they would have dropped an atom bomb on Germany as they did in Japan. But going back to the war in Vietnam, in particular, people should know that Malcolm X demonstrated against the war in Vietnam in 1960 in Harlem. People should know that throughout the civil rights movement in the south, groups like SNCC (Student Nonviolent Coordinating Committee) had opposing the war as their agenda. That was a plank in the Mississippi Freedom Democratic Party, for example, as well as a lot of SNCC projects. Simmons: The problem with African Americans challenging U.S. foreign policy has always been that whites in this society, including white progressives have always challenged us in the sense that we should not link those issues (civil rights and peace). So that when SNCC, which had among its leadership Stokley Carmichael, H. Rap Brown, and which I was a part of, formally came out against the war, our funding base just went down, and people were very critical of us. But what is significant about the statement by SNCC against the war, if you read it, is that unlike Students for a Democratic Society, or those of many other white progressive groups, the SNCC statement was also a critique of U.S. foreign policy. It criticized not only the war in Vietnam, but it criticized the policies on South Africa, the policies in Latin America, so it went way beyond just the war. Regarding draft resistance there was another mythology about this being just a “white” issue. First of all, just keep in mind that the people who fought the war in Vietnam were by-and-large poor people of color, as well as white working class people. The high school I went to (Thomas Edison HS in Philadelphia), was, at the time I graduated in 1963, about 60% Black and 40% White. Edison had the highest per capita casualty rate of any HS in the country, in terms of the war in Vietnam, and Thomas Edison HS was made up of all very working-class people. But the thing about opposing the war, is that if you look at the draft resistance, be it Black or White, there were very few people who actually went to jail. For the most part, people found other ways out. The first thing that a lot of African-Americans did was just not register at all. That was the first way that people opposed the war. The other dimension is that because the draft counseling aspect of the war in Vietnam came to the Black community late, a lot of people went into the military because they didn’t know that they had any other options. But I would argue that the untold story about the opposition to the war in Vietnam is the role of Black troops who were in the military. 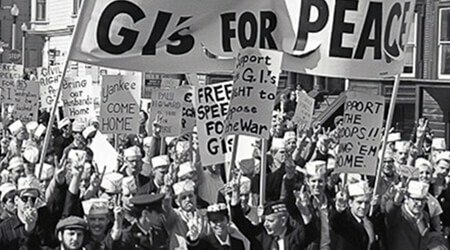 Because I would argue, and things are beginning to come out, that a lot of the discontent that occurred within the military, had a profound impact, just as profound if not more profound, than the anti-war movement as it’s characterized. Even if you look at the anti-war movement, the white progressives who marched, look at who organized it. For example one of the largest demonstrations, the mobilization in 1965, was organized by James Luther Bevell of the Southern Christian leadership Conference (SCLC), as well as a number of SNCC organizers. Frankly, if they hadn’t started drafting white middle-class kids for the war in Vietnam, I’m not so sure how large the anti-war movement would have been. Even in terms of the Gulf War in 1991, a lot of us organized African-American opposition to the war, but the white campuses, by-and- large, were not on fire. Nevertheless, it is not to put white people down that I raise these issues, it is more to elevate the significance of the African-American community. There’s a brother who teaches at Tufts University, named Gerald Gill, who wrote his Ph.D. dissertation on African American opposition to U.S. wars in the 20th century. Invariably what is found is that African-Americans see going into the military as either an employment opportunity, a travel opportunity, and educational opportunity, or something they can’t avoid and they don’t want to go to jail. But in terms of the military having people with politics, I would argue that the most political people in the military continue to be African- Americans, and that is the group that the military is always the most concerned about. 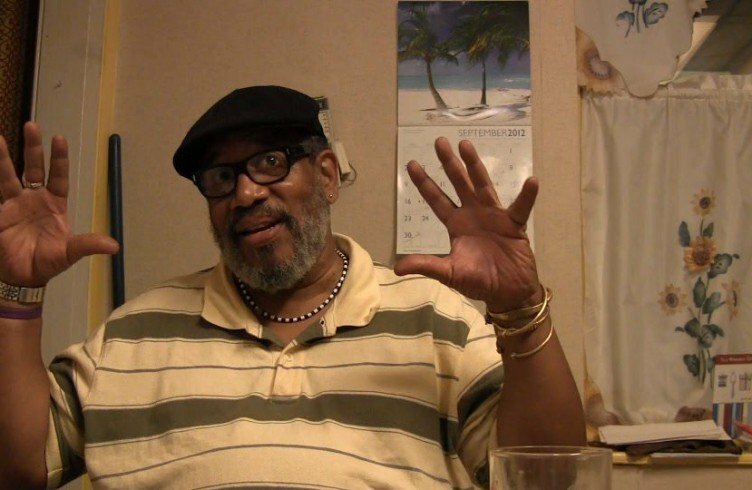 Simmons: My story is, one, that because of the Civil Rights Movement, and because of the influences of people like Malcolm X, along with some things that were happening in Philadelphia in the early 1960s, I had made up my mind in high school that I didn’t want to go into the military even if there hadn’t been a war, and clearly I wasn’t going to fight anybody. But my intent was to try to avoid the military and jail, because I didn’t want to go to jail either. When I got out of high school, I did register for the draft, because I didn’t know any better, and then I started college. During my days in college there was no problem, but I went to college for two years and then I dropped out and went down south and joined the Civil Rights Movement. That’s when I started being hassled by the government in terms of reporting [to the draft board] to take my physical, and the other stuff that I was supposed to do. It was at that point that I started playing games with the draft board. For example, I used to write these very long letters on Black History, and right in the middle of one of these 12 page letters, I would mention a change of address. Unfortunately, the person who was handling my case was rather astute, so that didn’t work. The draft board would schedule me (to report), and because I was in the Civil Rights Movement, I could arrange to be in jail, or in another town at the time that they scheduled me to report. This went on for a long time, until finally, they sent me a letter that basically scared me into going in and taking the physical, the other tests, and I was classified as 1-A. At that point, most of the people around me in the civil rights movement were around draft-age, so we were all facing the draft. I started organizing demonstrations at the draft board in Atlanta, and the people at the draft board got accustomed to seeing me down there demonstrating. On the day of my induction they wouldn’t allow me in the building, and because of an altercation between us and the cops, myself and 11 other people wound up going to jail on the day of my induction. We spent two months in jail for disturbing the peace, disorderly conduct, etc. 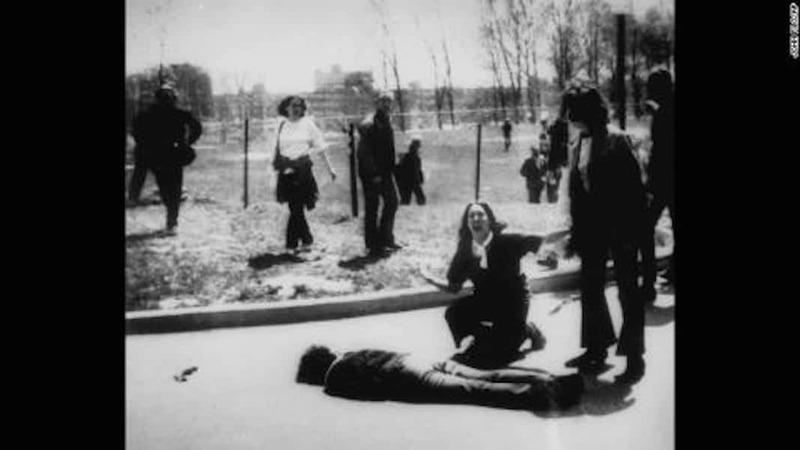 Two of the men who were charged with me were also charged with insurrection, which at the time, carried a death sentence, which shows you how outrageous this was. While spending two months in jail, my SNCC comrades, the women, started protesting in front of the draft board every day in black, and that became an international issue because people were talking about the fact that African-Americans were opposing the war, and this became a big deal. I got out of jail after two months, but about 6-7 months later, I was indicted for refusing to report for induction, even though I had reported, and couldn’t get into the building. They tried me for refusing to report for induction, they claimed that we had damaged a door, so they charged us with damaging federal property, then they claimed that we physically tried to keep another guy from going into the induction center so they charged some of us with impeding the draft. I was convicted of refusing induction, a couple of brothers were also convicted of impeding the draft, and we were all convicted of damaging federal property. A couple of brothers left the country as opposed to doing the time. I managed to stay out (of jail) for about two years on appeal, and then finally, I lost all my appeals, and I wound up doing 2 1/2 years. I might add, that back in those days, the average draft case only did 1 1/2 years. There’s no question, that because I was African- American, my sentence was stiffer. CCCO: During this time, what sort of reaction did you receive from CCCO, or other “traditional” peace organizations? Simmons: It was negative, man. Back in those days, I went to CCCO, and talked to a guy, one of the founders of CCCO. I told them that I was a conscientious objector, and they told me that I wasn’t. They refused to help me, the Friends Peace Committee, the whole Quaker community, there was no white group that helped me. In fact it was the civil rights movement that became a support mechanism for me. My lawyers, I had very good lawyers, helped me a great deal, the courts were just so stacked against us. In those days, it was very, very hard for a non-Quaker, a Black person who was not a Quaker or a Mennonite to get help. Because my opposition to the war was not a theological opposition, it was a political opposition. Back in those days they were very hostile toward African-Americans, and really poor people in general. I just shouldn’t say African-Americans, because I’m sure that if a white, working-class kid from Kensington would have gone to them, they probably would have done the same thing. I mean, they saw conscientious objection as this precious little group of narrow, upper-middle-class strata, and then they saw people like me as riff-raff, who would dilute conscientious objection. 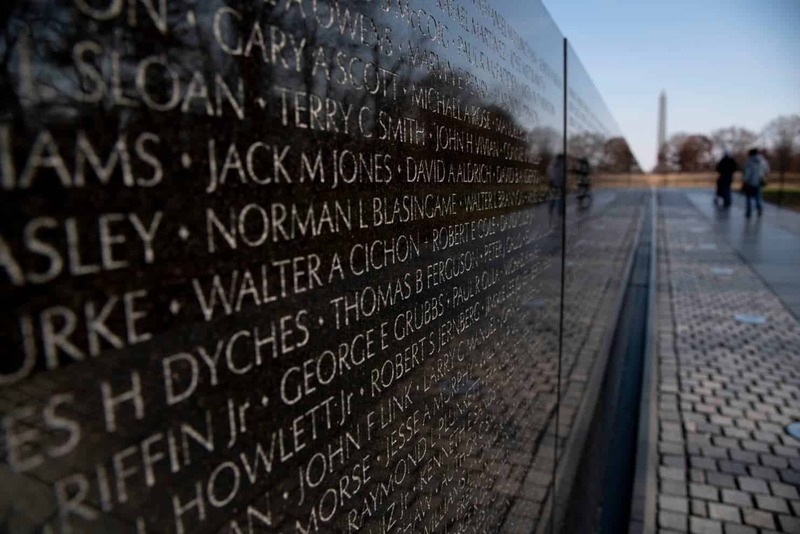 In fact, the opposition to the war in Vietnam clearly changed, and widened the definition of conscientious objection. 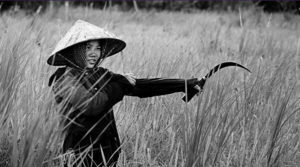 The kind of work that you, Alex Doty, and people like Harold Jordan of AFSC, are doing today, is rooted in the war in Vietnam. For example , the fact that theology is not the only thing that people have , the fact that you all are willing to help people who are already in the military, those things truly came out of struggle. I should say that, among the Quakers, the people who were the fore- runners of Prisoner Visitation and Support (PVS), provided a lot of support for my family while I was in prison. They were able to find some funds for my wife and daughter, which helped to ease the situation. But by then, things were beginning to change, because the civil rights movement was really challenging the white peace community around those kinds of issues. CCCO: What would you say to young people today who are confronted daily with the military’s sales pitch? Simmons: I acknowledge that given the options that a lot of young people see, I can understand why they choose the military. And I understand that in the same way that these days there are companies that the prison authorities will let people work for that if you were free, that company would never hire you. To that degree, I know that there are so-called opportunities in the military for young African-Americans, Hispanics, as well as others who don’t have access to resources for education. The thing that people need to understand is that the way they sell the military, they sell it not as a military apparatus, but as a post-high school training program, a post-high school travel program, and I think that if young people would look at the information regarding bad discharges, if they would look at the problems of racism in the military, and the reality of them getting stuck in places like Bosnia, Somalia, or Haiti, or Iraq, that they’d realize that the military is first, and foremost, a military. The other thing that you’ll find, is that a lot of skills that people learn in the military are not transferable out here. The thing that has shocked me is just how little respect private industry has for the training that people get in the military. I know guys who have worked on jet planes (in the military) for example, and have had very technical kinds of jobs, but then they come out, and employers don’t want to hire them because the military isn’t very respected in terms of training, by civilian employers. This is definitely something else that young people need to think about with regards to the military. 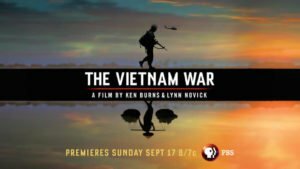 The thing that hit me personally is now that I see these movies, be it Dead Presidents, or any of these other Vietnam movies, I know that there was no way that I would have done those things. While I may not call myself a pacifist, I am clearly non-violent. The thought of, for example, just killing you because somebody said that you’re a bad guy, or over this nonsense with Iraq right now, is just ludicrous. I couldn’t have done that. The other thing, is the fact that the people who have been through that, now have to beg for treatment. My brother, who was two years older than me and was in Vietnam, died of Agent Orange at a V.A. hospital. I, personally, spent eight months with him at the V.A. hospital while he was dying. He was dying of Agent Orange, but it looked like he was dying of AIDS. 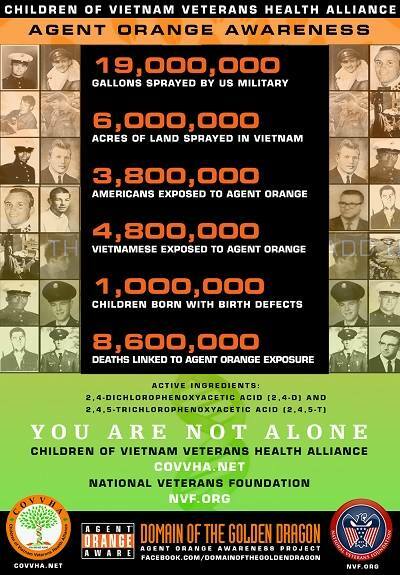 Dying of Agent Orange is just like dying of AIDS. There is also a great deal of psychological trauma of people, like when I was in prison, I was always amazed at how many vets were in jail. People need to understand that they just use up these guys, and throw them out. Now today we’re trying to deal with Gulf War Syndrome, and people shouldn’t have to hire lawyers and go to court about this stuff. CCCO: What responsibility do white organizers who are doing counter-military work, and their organizations, have to communities of color, and how can they be supportive of the work that organizers of color are doing? Simmons: First of all, for a white person to go into a black community where the unemployment rate is high, where the schools are bad, and it’s hard for students to get sufficient scores on the SATs that enable them to get into college, it’s hard for a black person in this situation to even hear it coming from a white person. So clearly, these groups have to be willing to hire people of color to go into those communities. Thirdly, if you look at voting patterns in this country, historically, black folks don’t vote for huge defense budgets, don’t support U.S. intervention into other peoples’ countries. So that if you look at the African-American community, we historically are the most peaceful community in terms of our expressions of outrage. The last thing we talk about is, that the U.S. should go and bomb somebody, or murder somebody. So we start with that formulation, the fact that by-and-large, we don’t go into the military out of patriotism, with aspirations of saving America, or fighting for our country. We go in as an employment, educational, or last hope kind of opportunity. I just think that when we go to challenge young people, that that’s the basis that we challenge them on.